Excellent staff and you feel completely at ease with the attention they give you. Excellent breakfast buffet with a wide variety of local and international cuisine. Our three grandchildren and the remaining five adults were catered for like we were the only guests! Definitely would recommend this hotel for family or for a honeymoon couple. The musicoadded the relaxing mood. 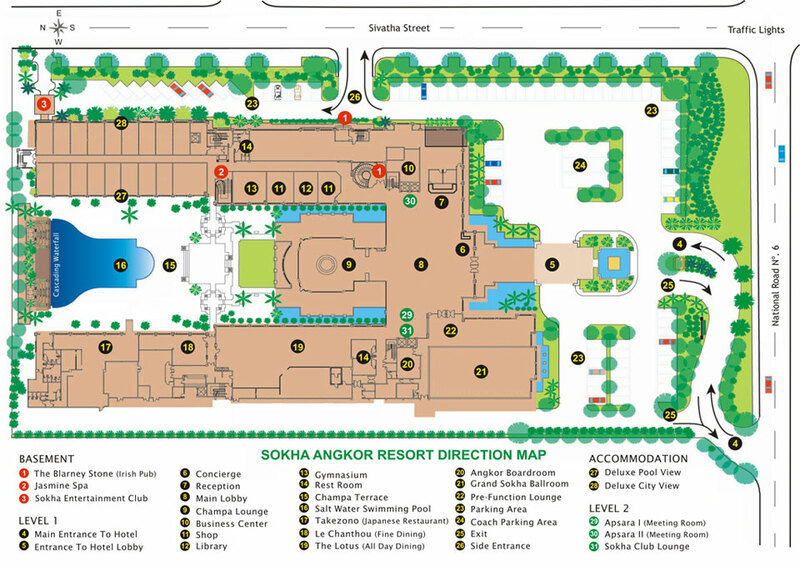 Stayed for two nights and the experience at any of the Sokha Hotel is always worth remembering, Sokha Angkor was no different at all. From Room quality, to overall facility and food, all excellent. There will no second thoughts while choosing a hotel in siem reap for our next visit. A really good hotel (so long as you are not offended by too much luxury in a poor country) for visiiting the Angkors. My wife had a chest infection and the hotel doctor treated her (in our room, free) and sent us on our way to Laos with antibiotics and other medication - and a great deal of reassurance so the enjoyment of our holiday was not spoilt. We had a room overlooking the pool. One evening the pool was closed and they set up for a private party. We feared a wedding disco all night. In fact it was a display of delightful Apsara dancing and was all over by 9.30. This is a lovely hotel.